CBVC and its online brand Leasing Gorilla is at the forefront of Special Offers for cost effective Business and Personal leasing of vehicles. Utilising our purchasing volumes and contacts with Manufacturers, Leasing Companies and dealers we bring you some of the most competitive pricing in the market. Allows you to search for your new car or van by manufacturer, style, size or by your monthly budget. It also features special offer deals. CBVC and its online brand Leasing Gorilla. are at the forefront of Special Offers for the cost effective Business and Personal leasing of vehicles. 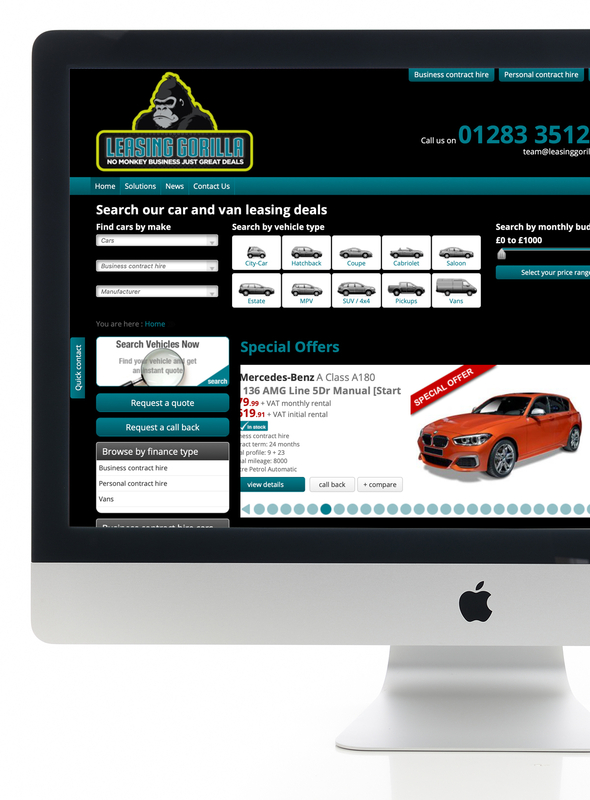 Our dedicated website allows you to search for your new car or van deal by manufacturer, style, size or by your monthly budget. It also features special offers available from time to time.